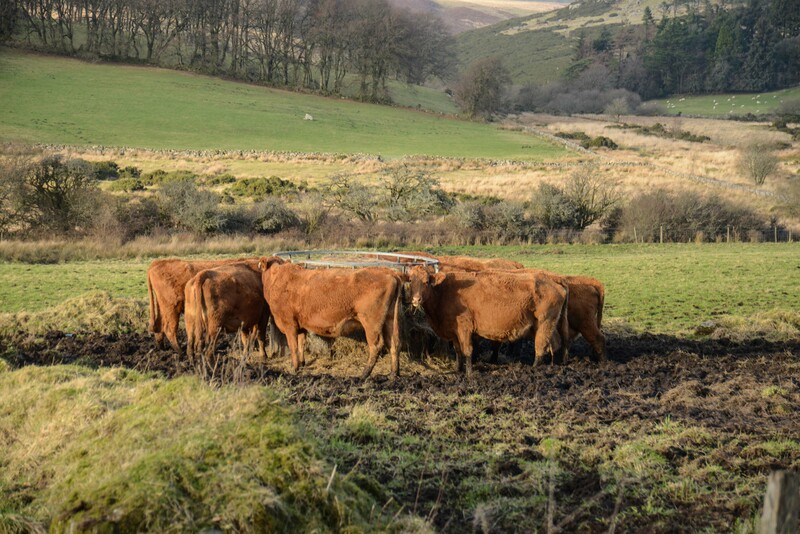 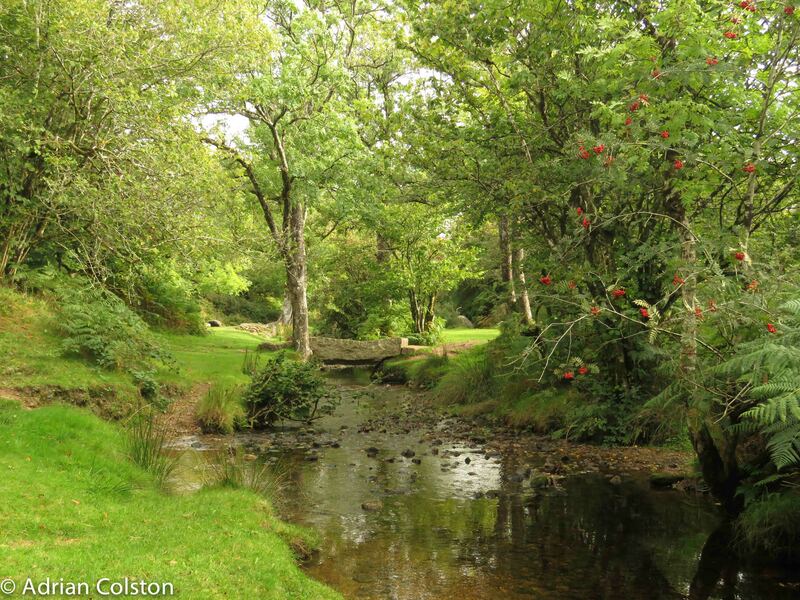 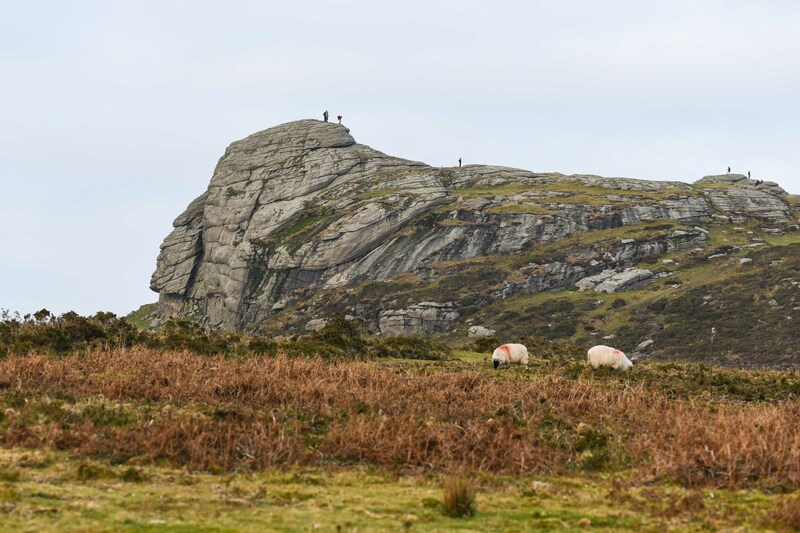 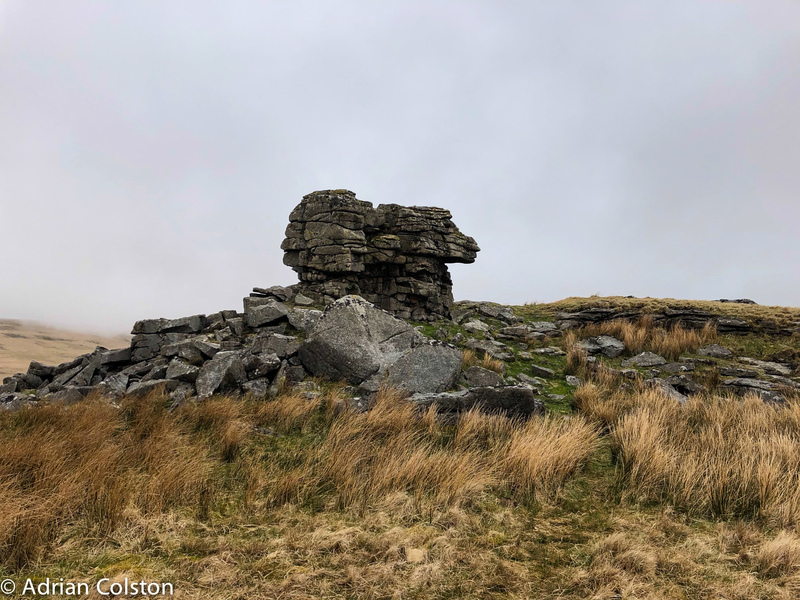 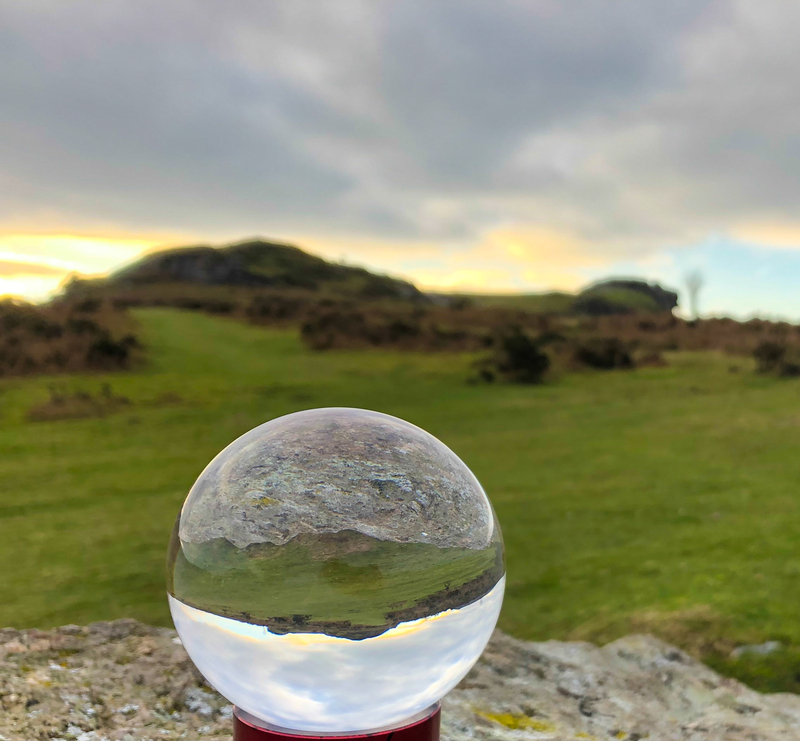 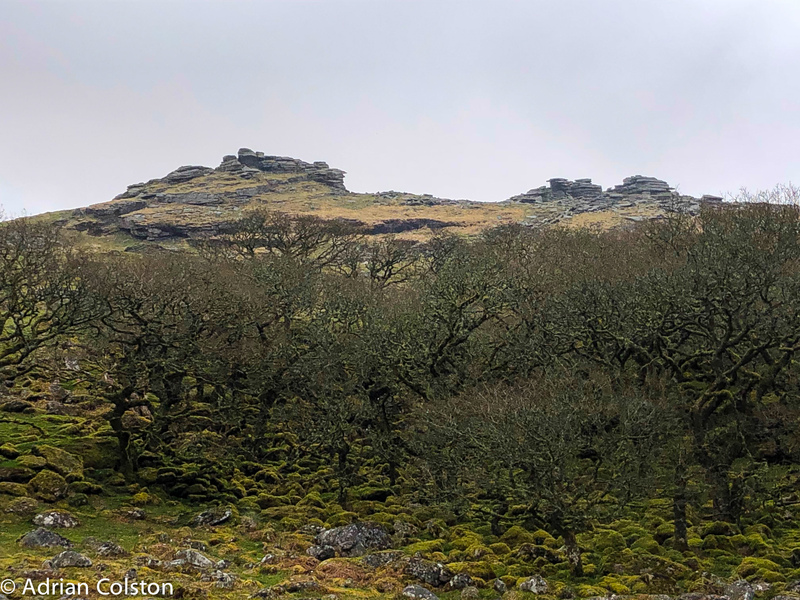 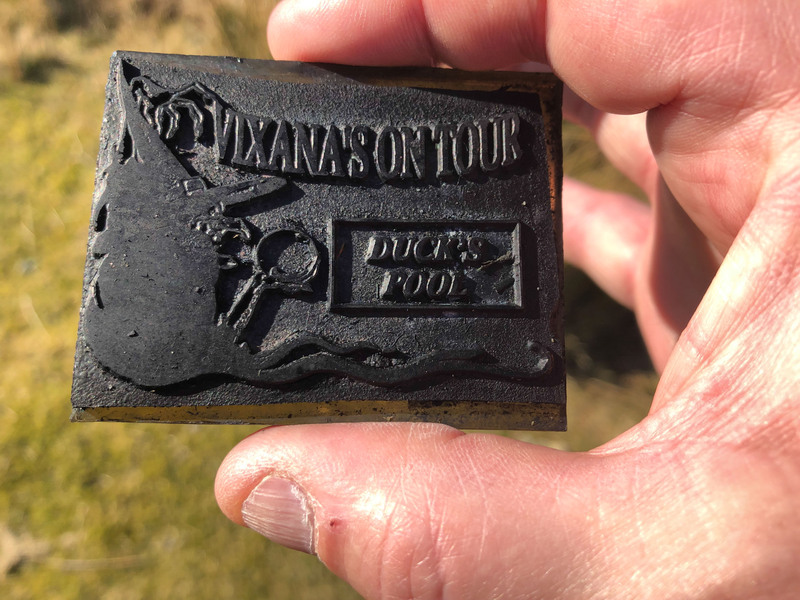 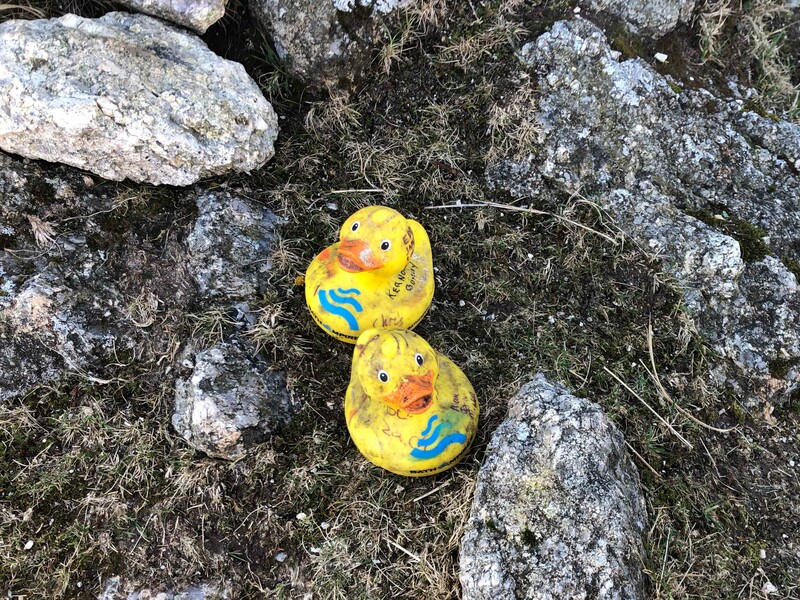 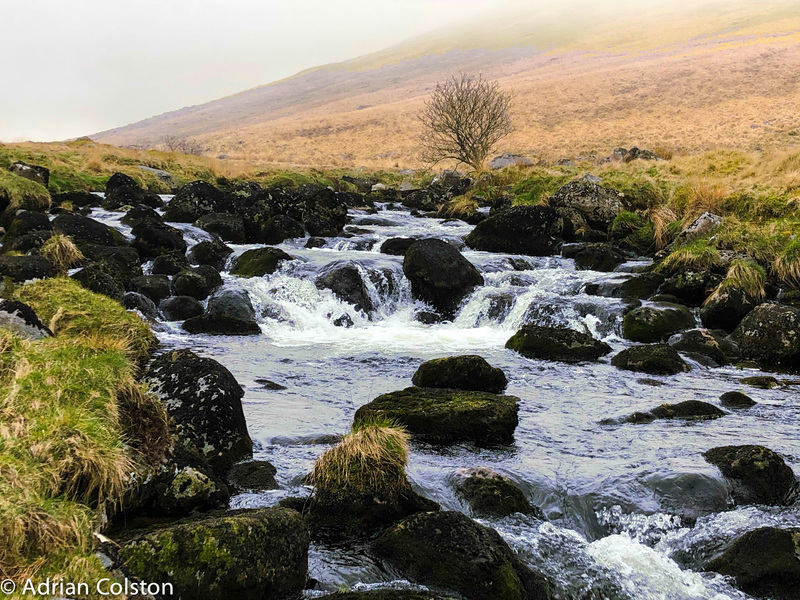 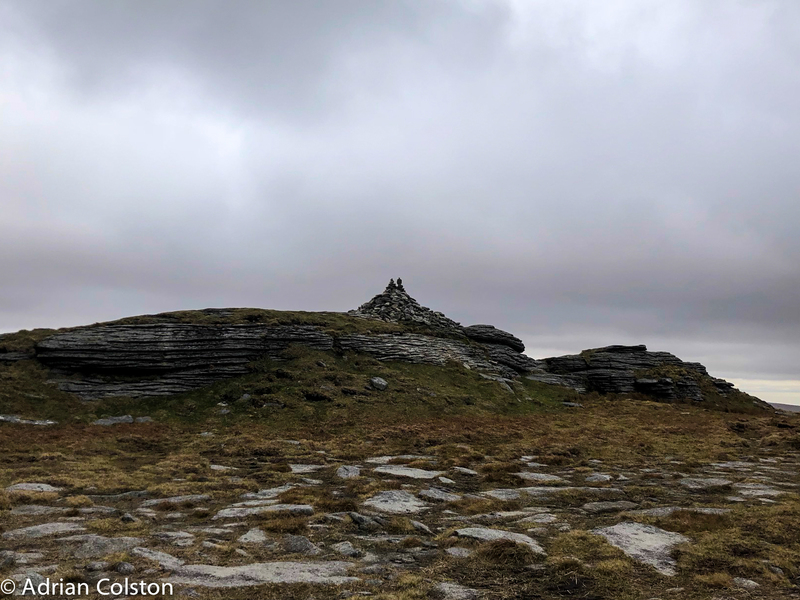 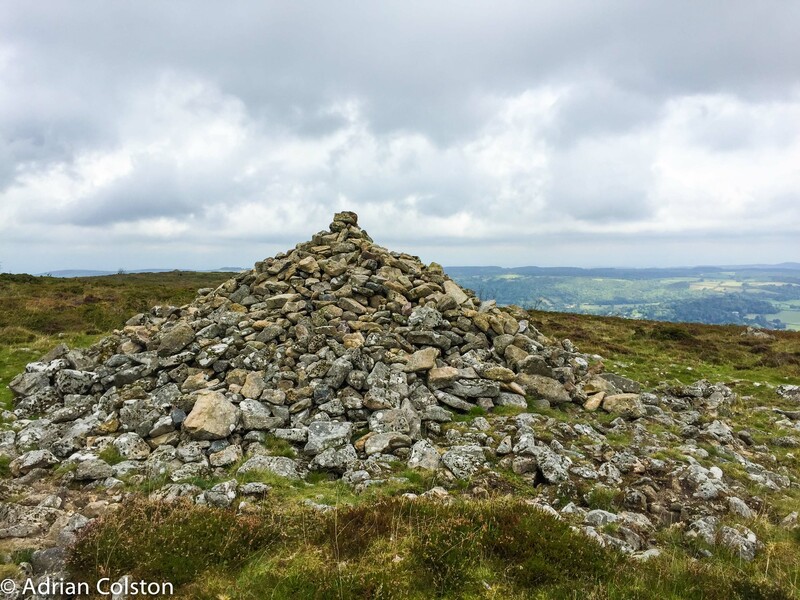 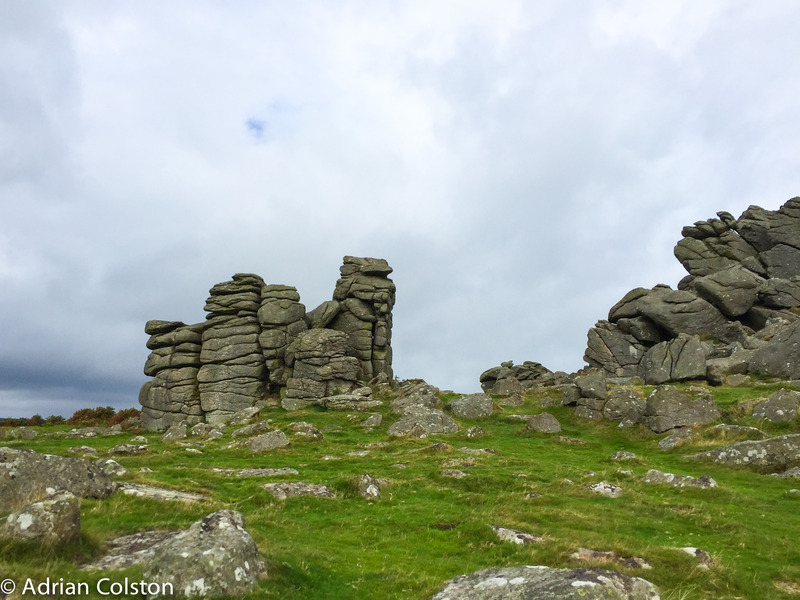 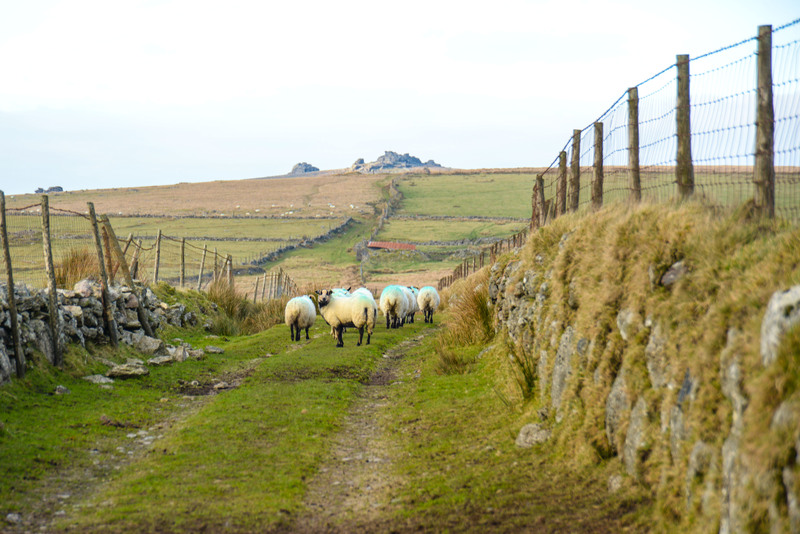 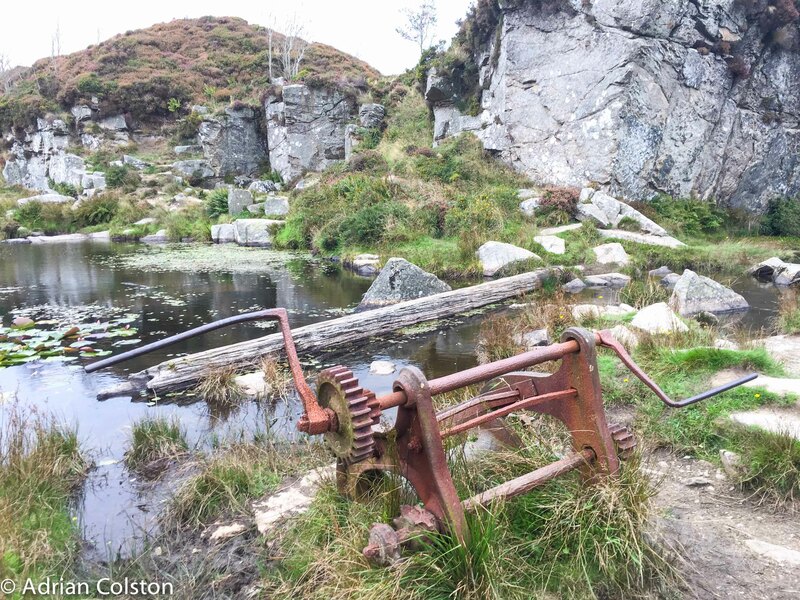 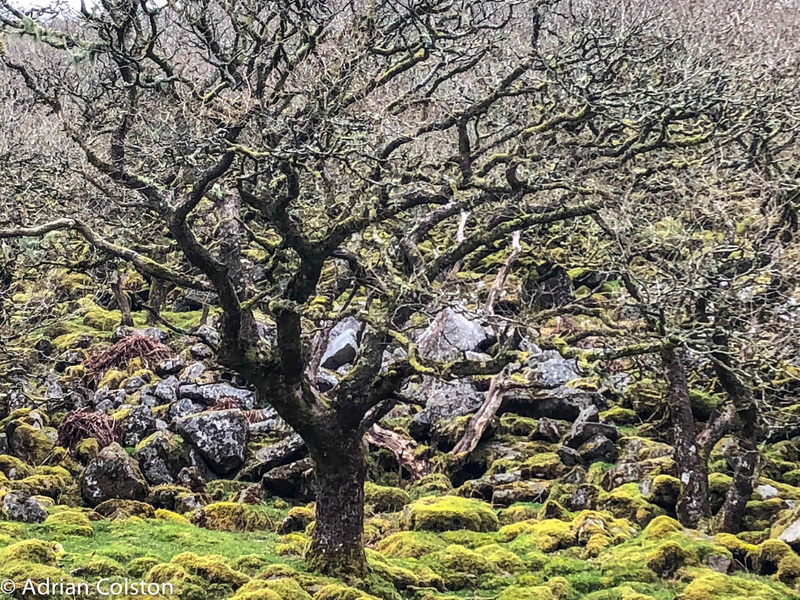 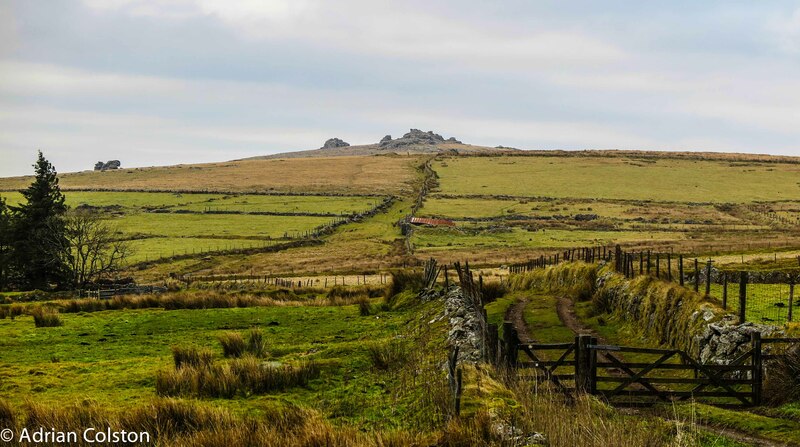 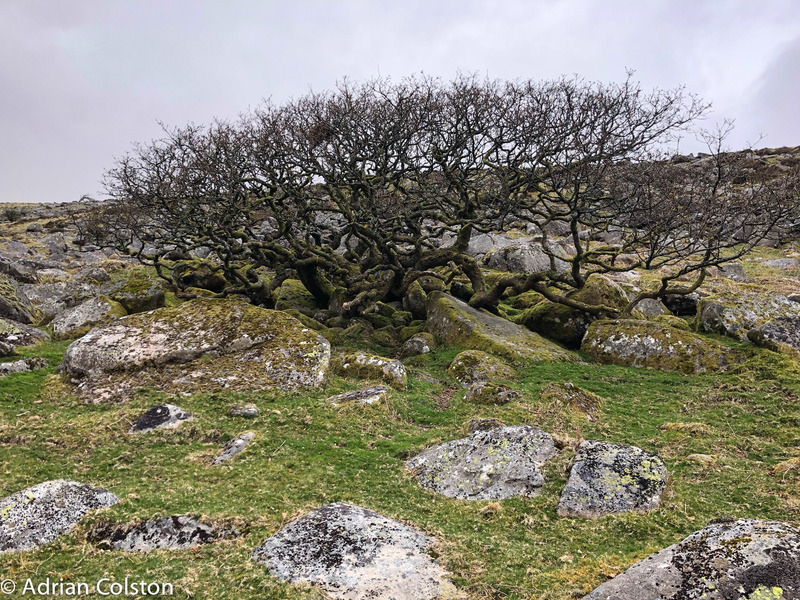 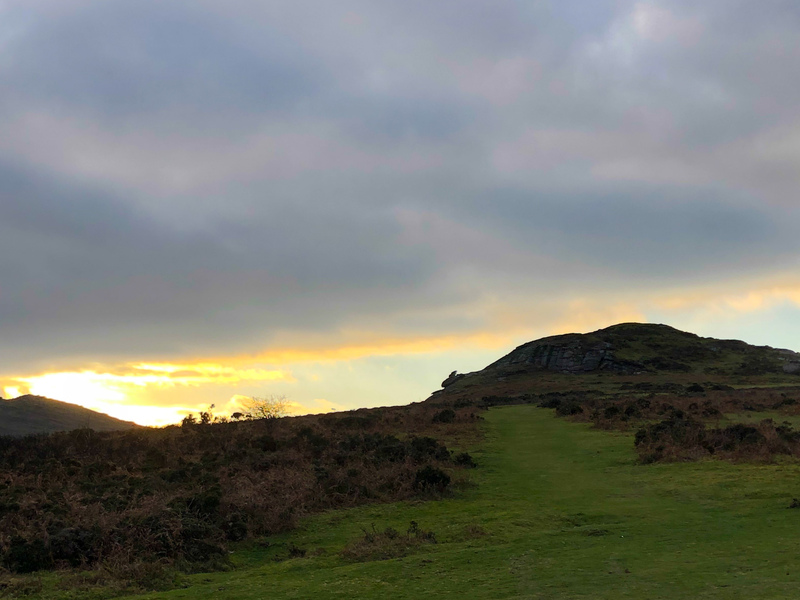 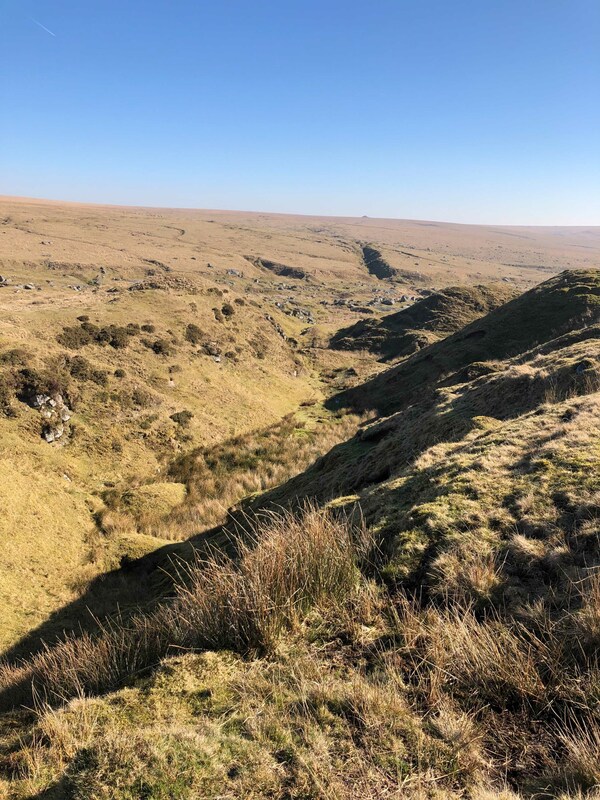 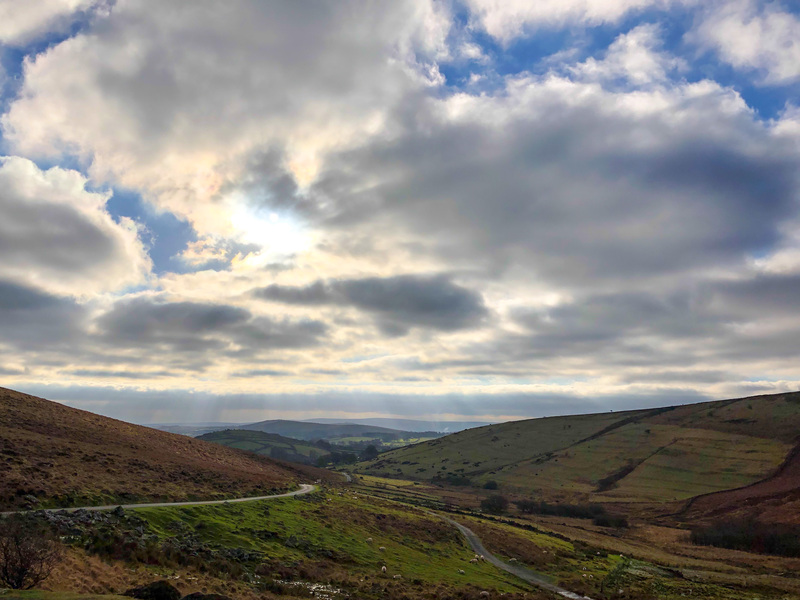 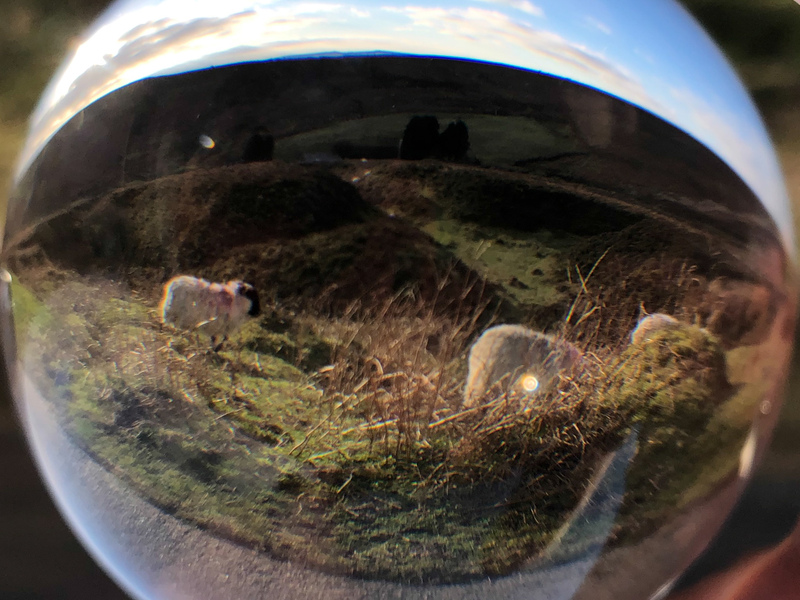 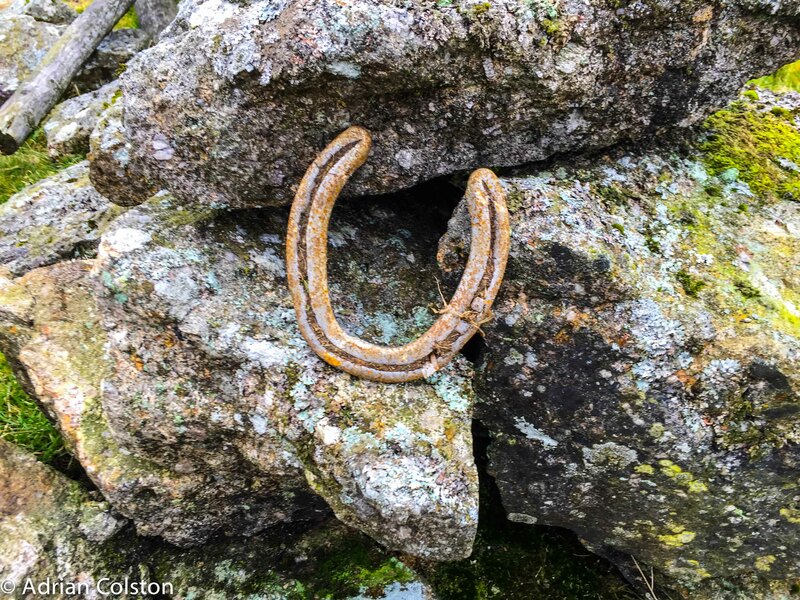 This must be one of my favourite walks – starts at Meldon reservoir and then up to Yes Tor, on to High Wilhays and down to Dinger Tor, over to Lints Tor and then back to Meldon via the West Okement River through Black a tor Copse. 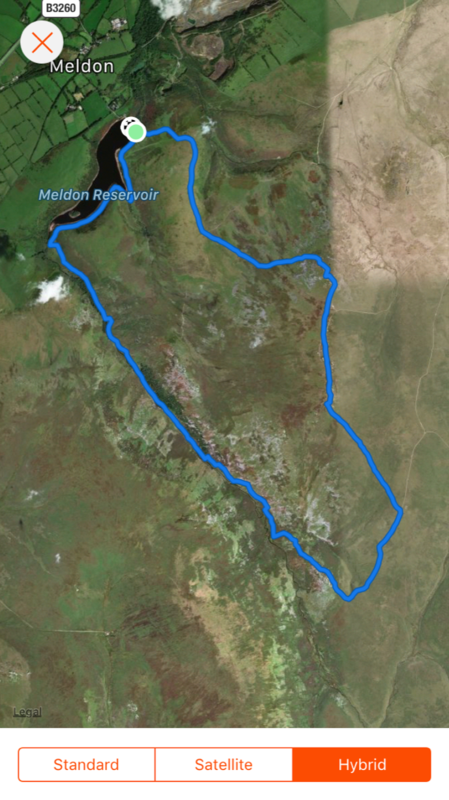 It is around 8.5 mils and it took me 3 hours with three short stops. 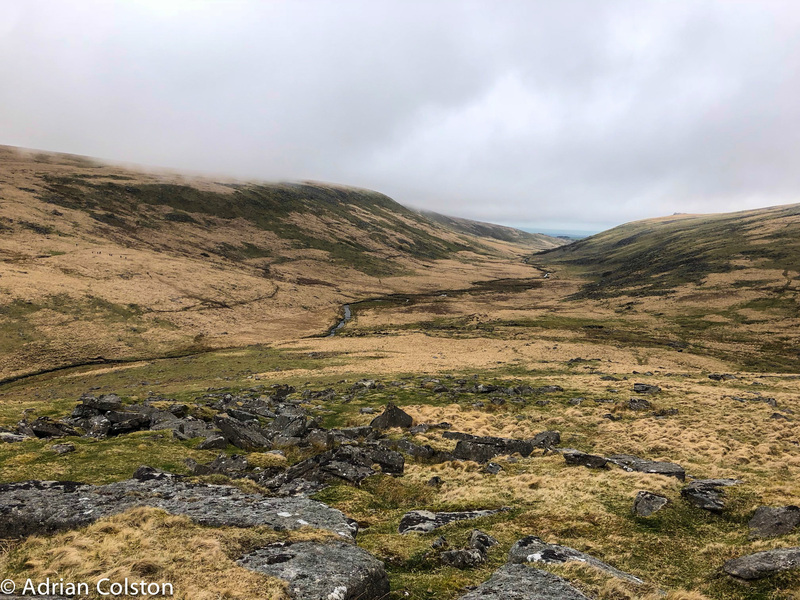 Looking down the West Okement Valley from Lints – almost looks like a Scottish Glen. 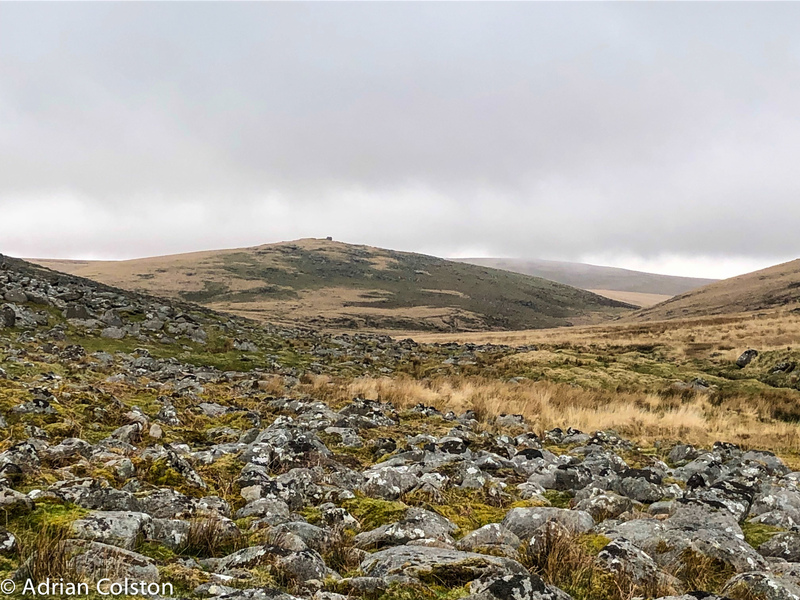 It is a pretty straight forwards walk assuming the visibility is good but you do need waterproof boots as the West Okement section crosses numerous flushes. 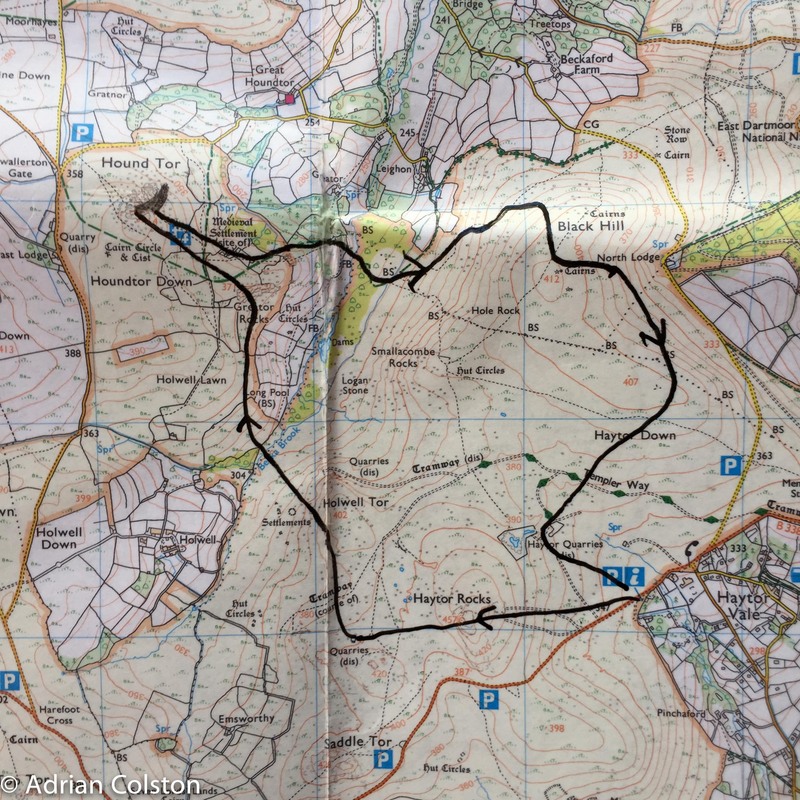 Obviously a map and compass job just in case … Can be walked clockwise or anti-clockwise. 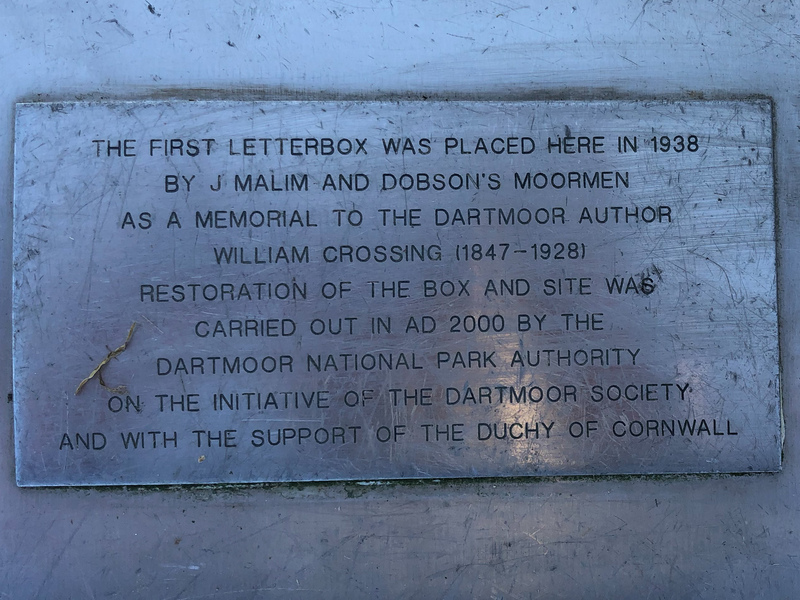 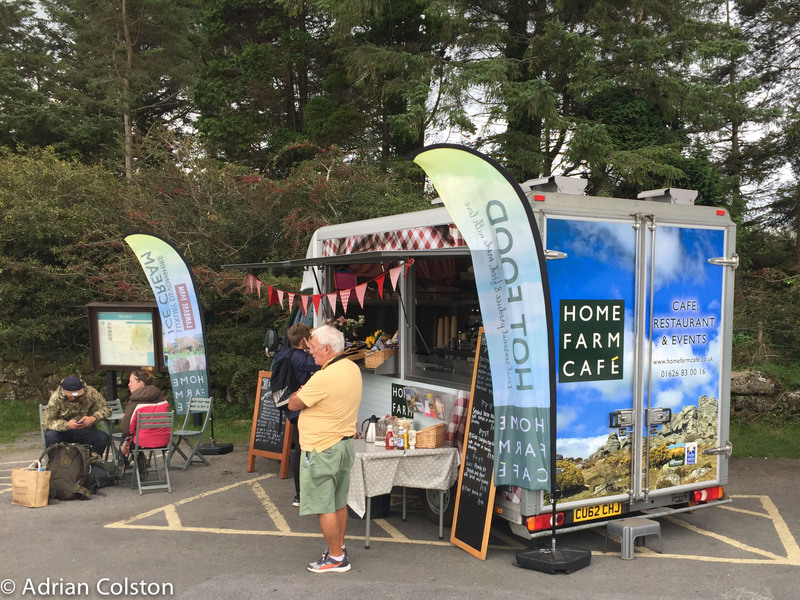 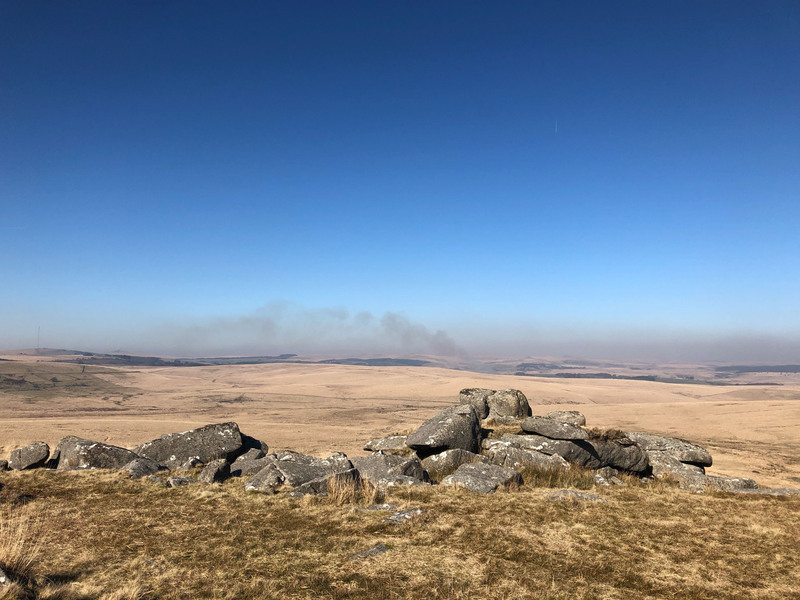 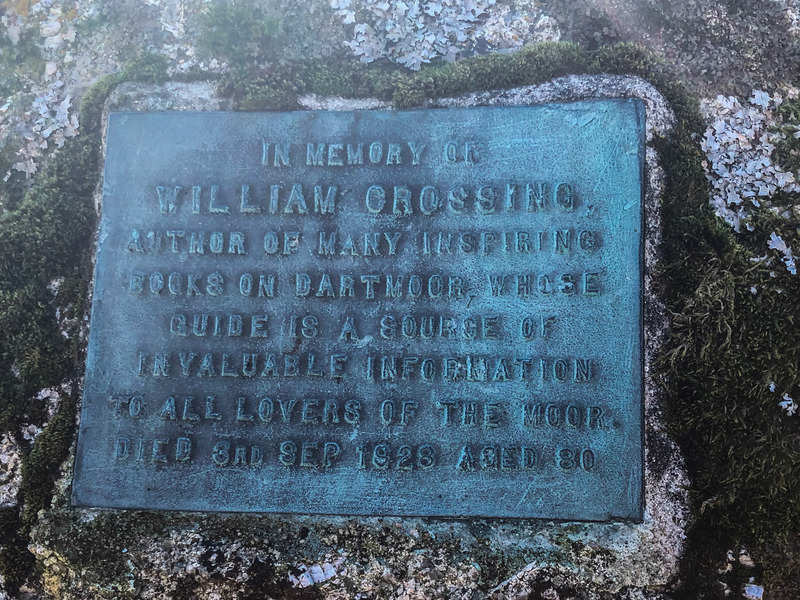 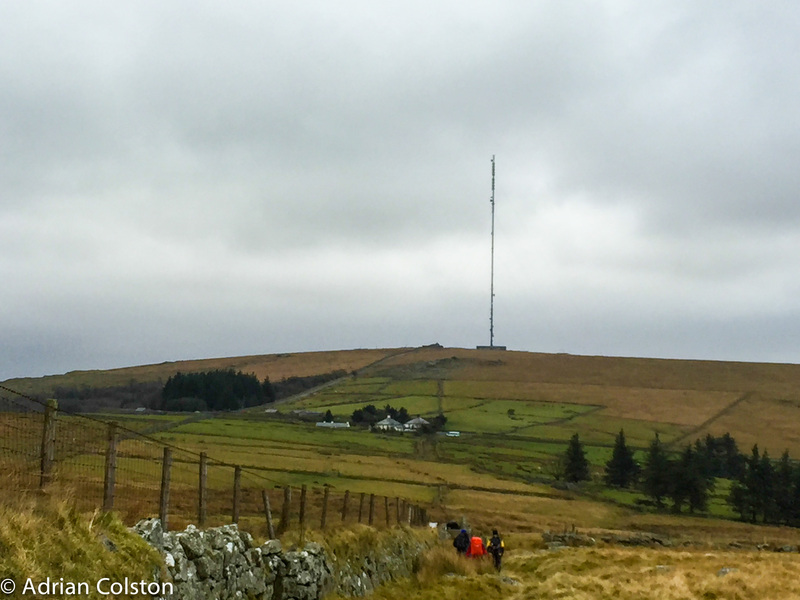 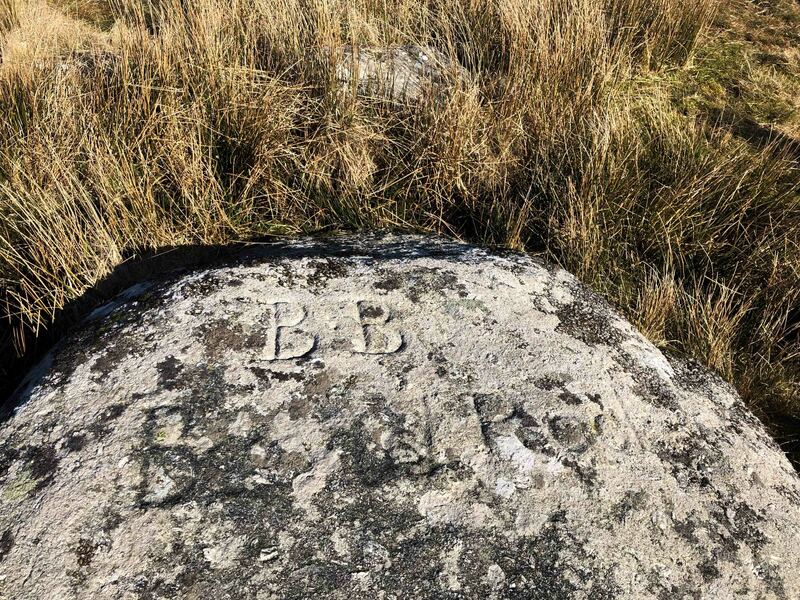 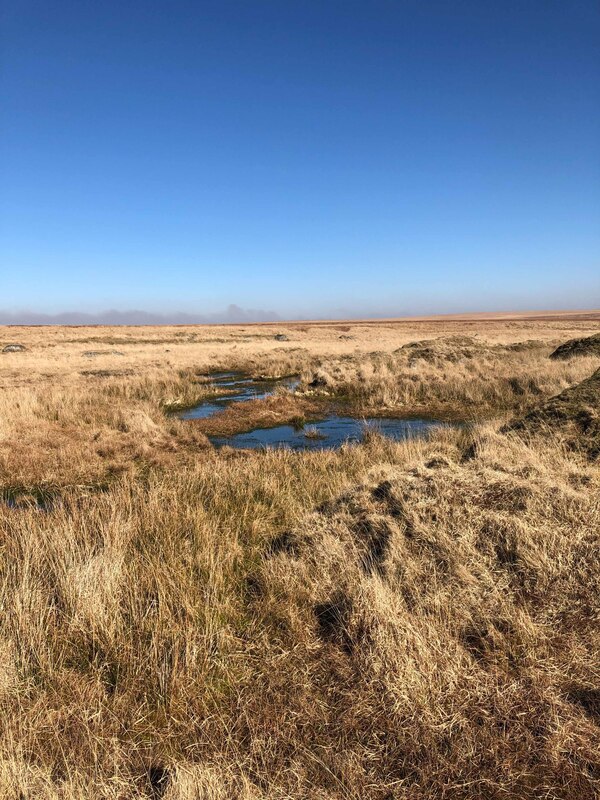 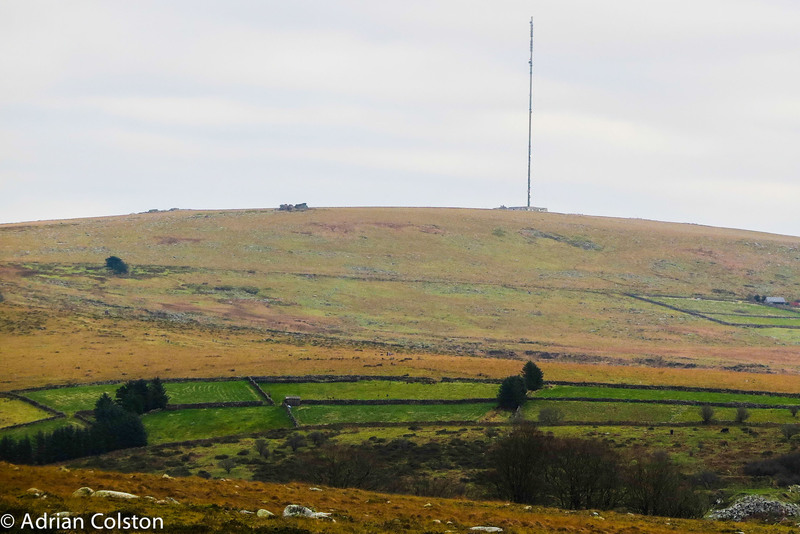 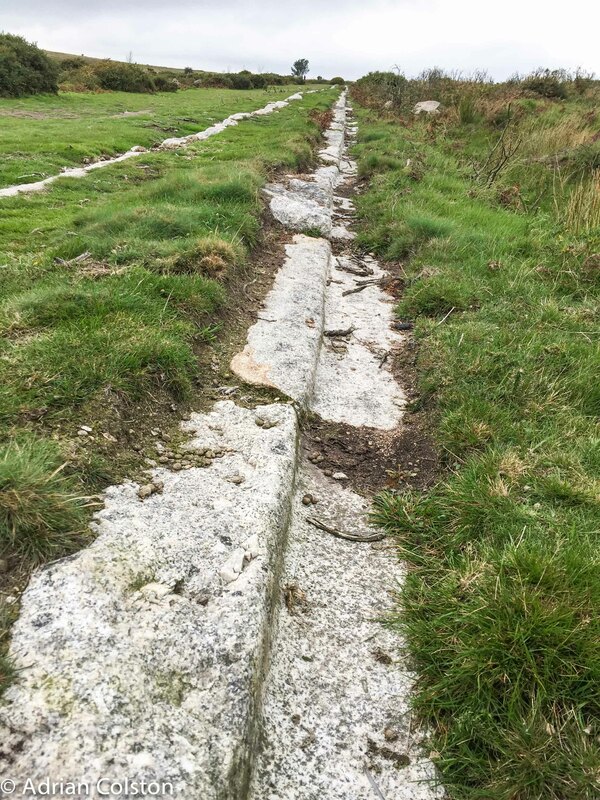 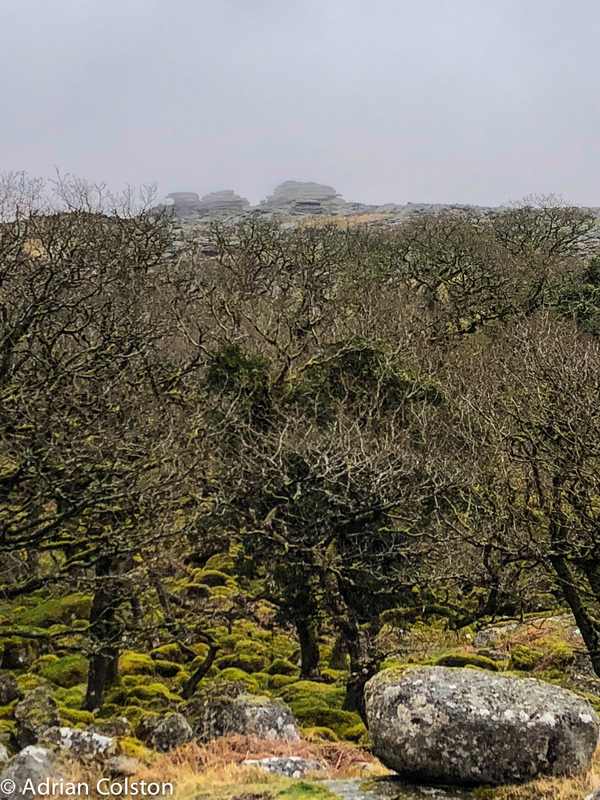 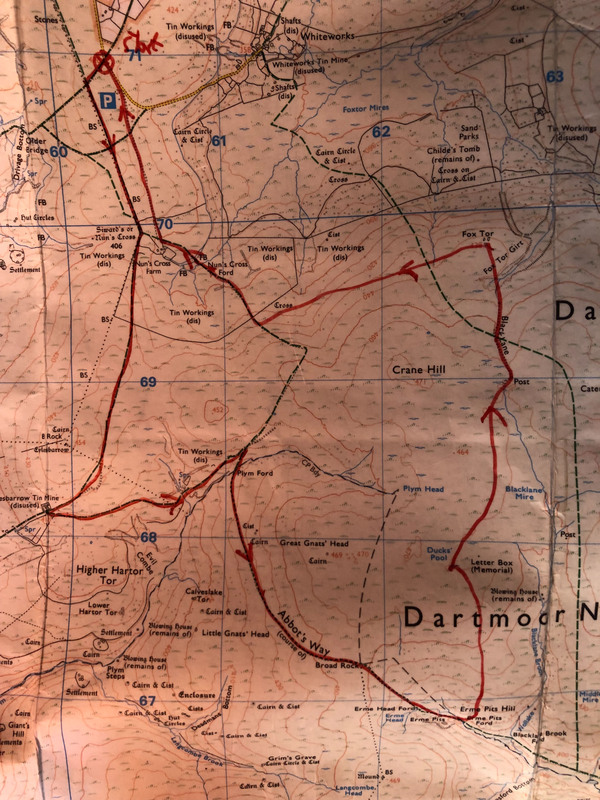 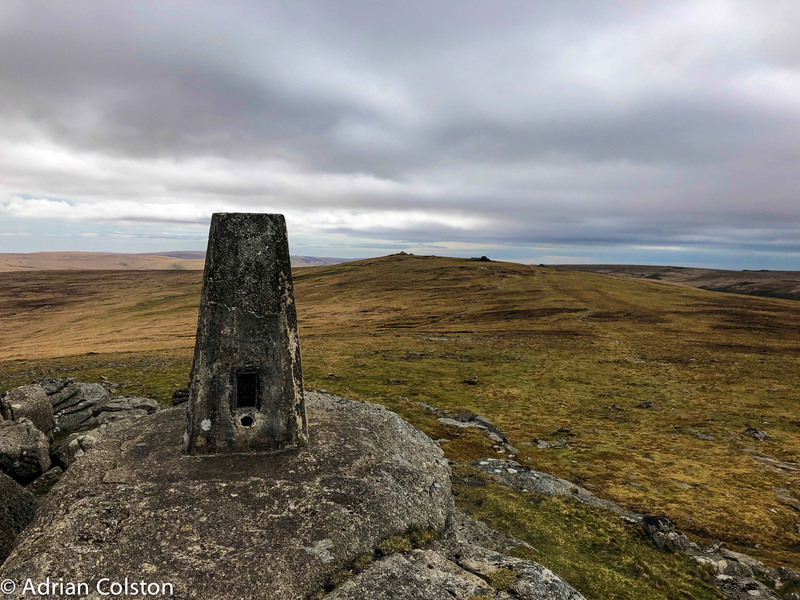 Lots of people know that the huge TV mast on Dartmoor is located at North Hessary Tor – it is one of the major features we use when navigating on the moor. 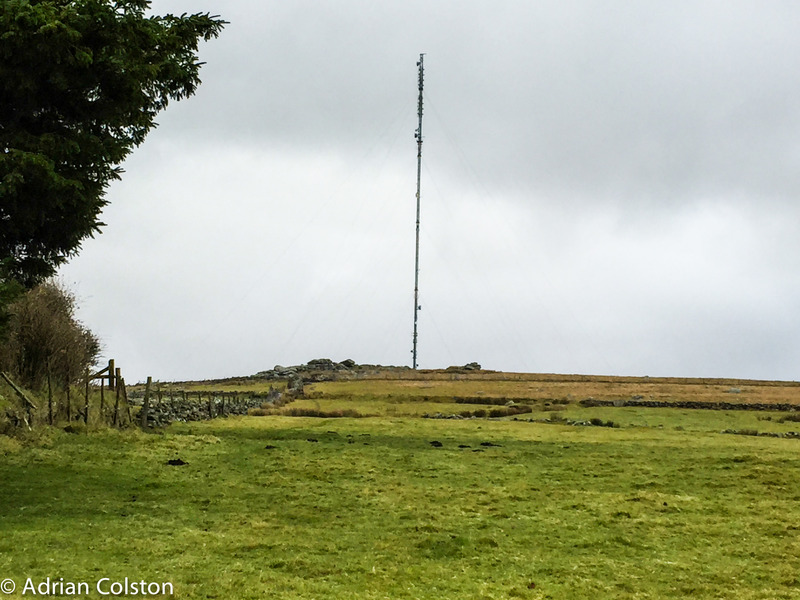 It can however prove to be a bit of an optical illusion – here is the mast with a Tor at its base – so this must be North Hessary? 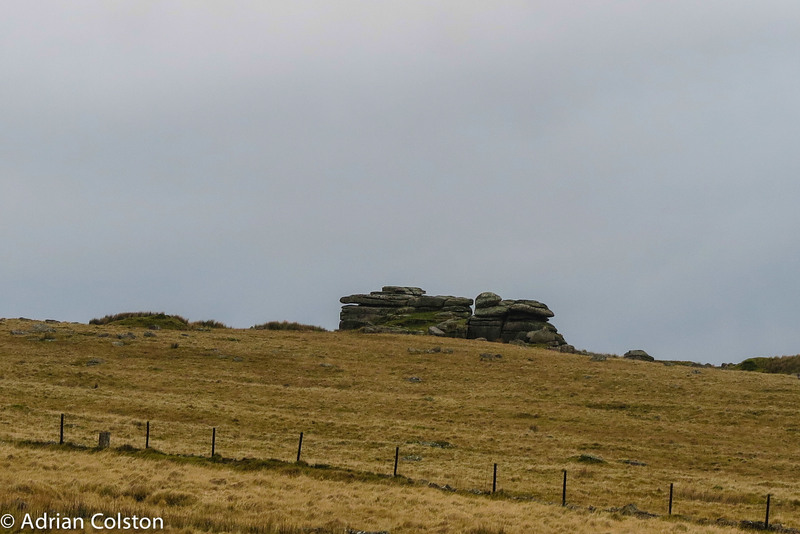 Stand back a bit and slightly change the angle and you can see that North Hessary is further back – to the left is Rundlestone Tor – so the Tor in the picture above is Rundlestone Tor. 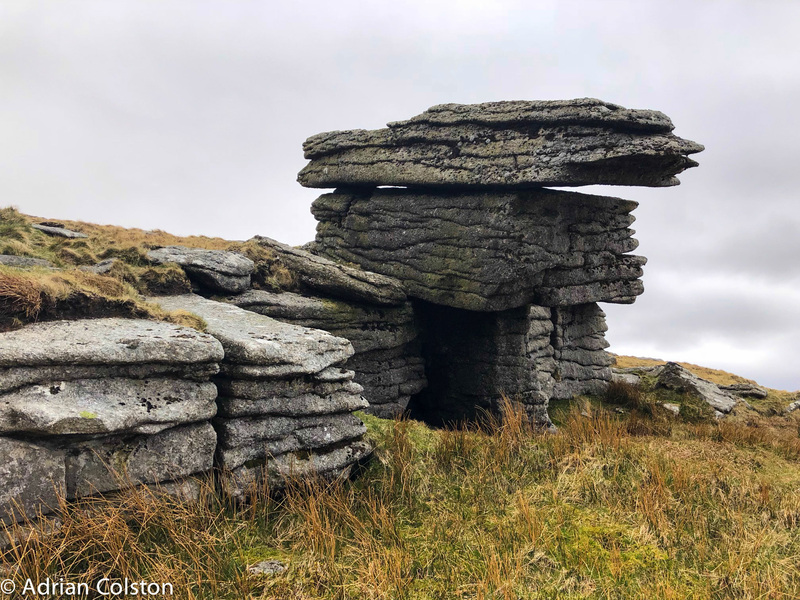 Standing at the Hamlet of Rundlestone you can see this Tor on the slopes up to Rundlestone Tor and Hessary Tor – this is Hollow Tor. 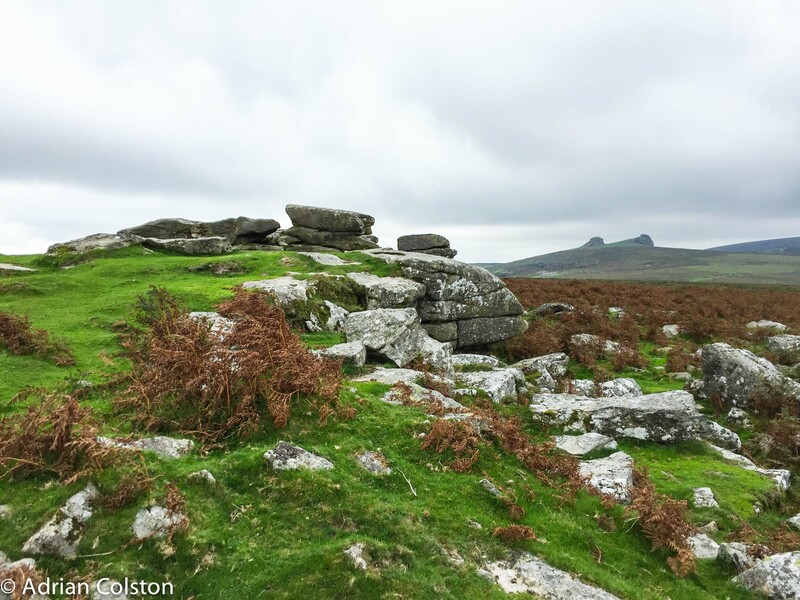 Standing a bit to east under Great Staple Tor you can put all three Tors into perspective. 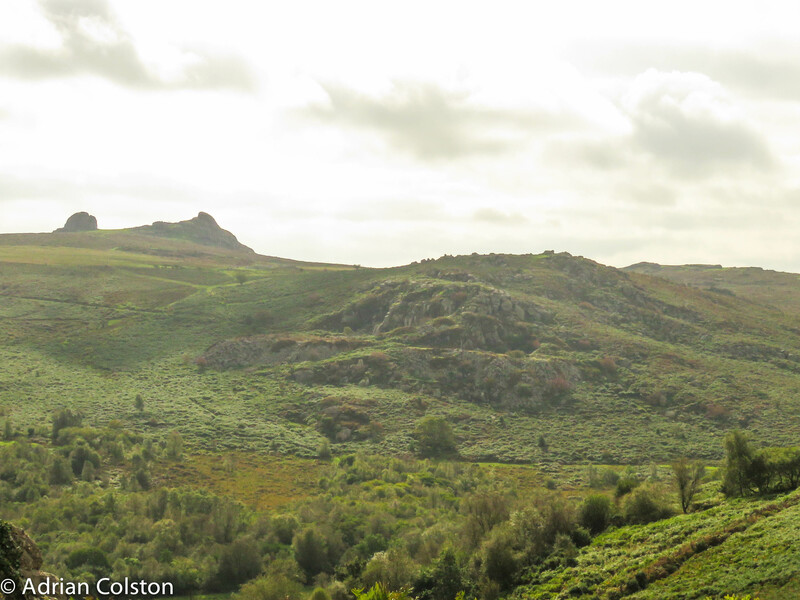 Rundlestone Tor to the left, Hollow Tor in the middle and North Hessary (with the mast) to the right. 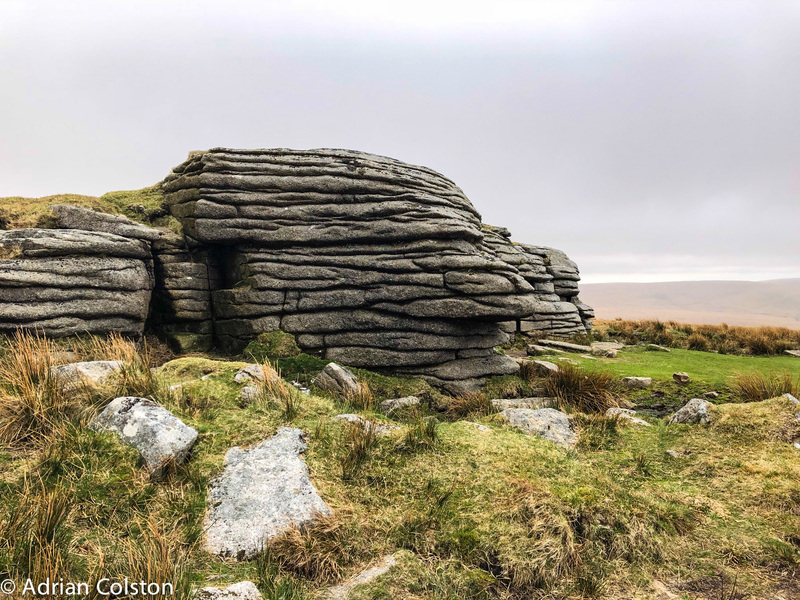 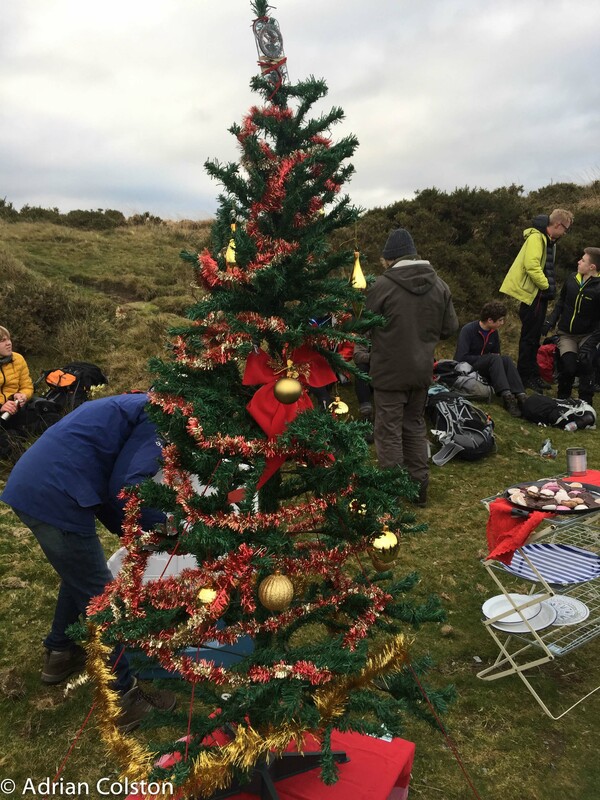 Yesterday was our last 10 Tors training walk of the year – not a long walk just around 4 hours which culminated in our traditional Christmas lunch in the car park below Great Staple Tor. 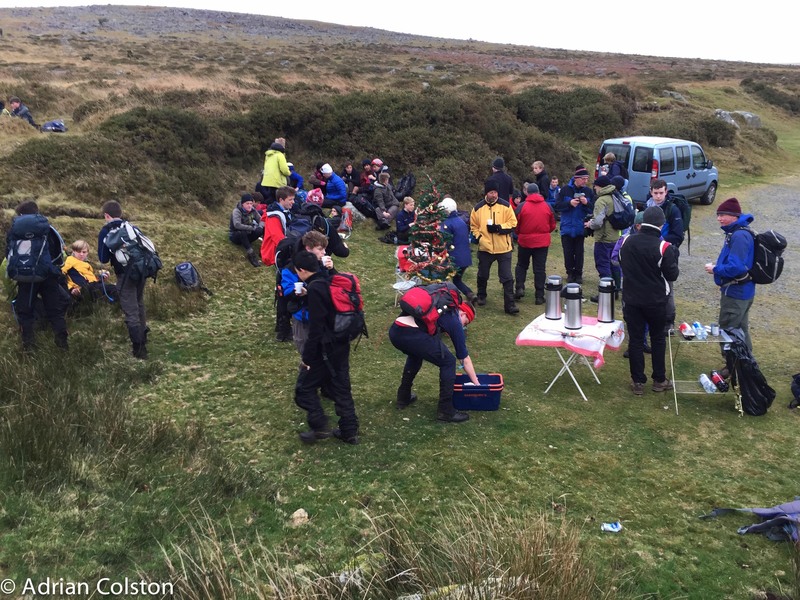 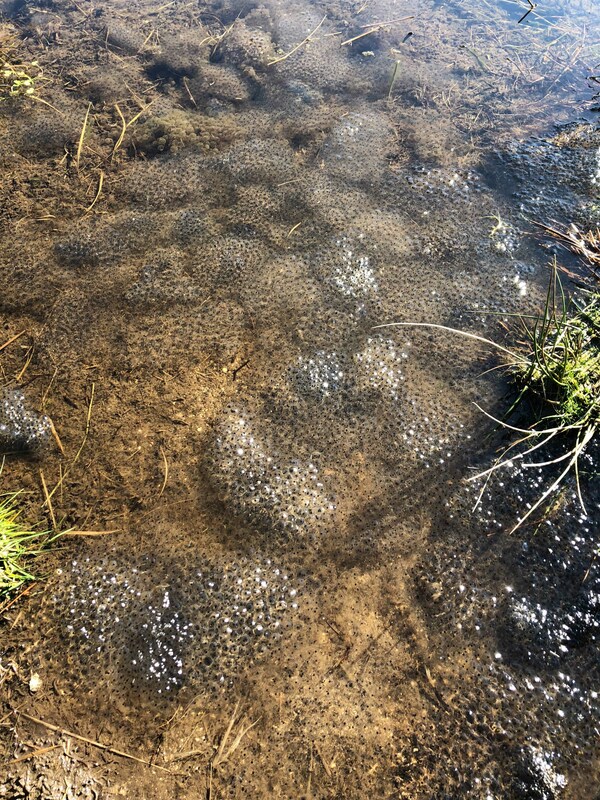 Earlier in the day we had been over to Fice’s Well to checkpoint our 45 and 55 mile teams. 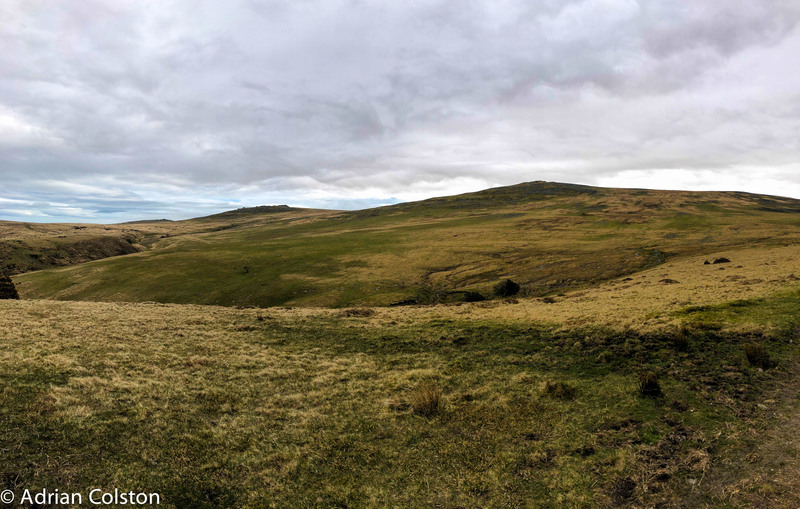 As the morning progressed the wind picked up and it was bitterly cold. 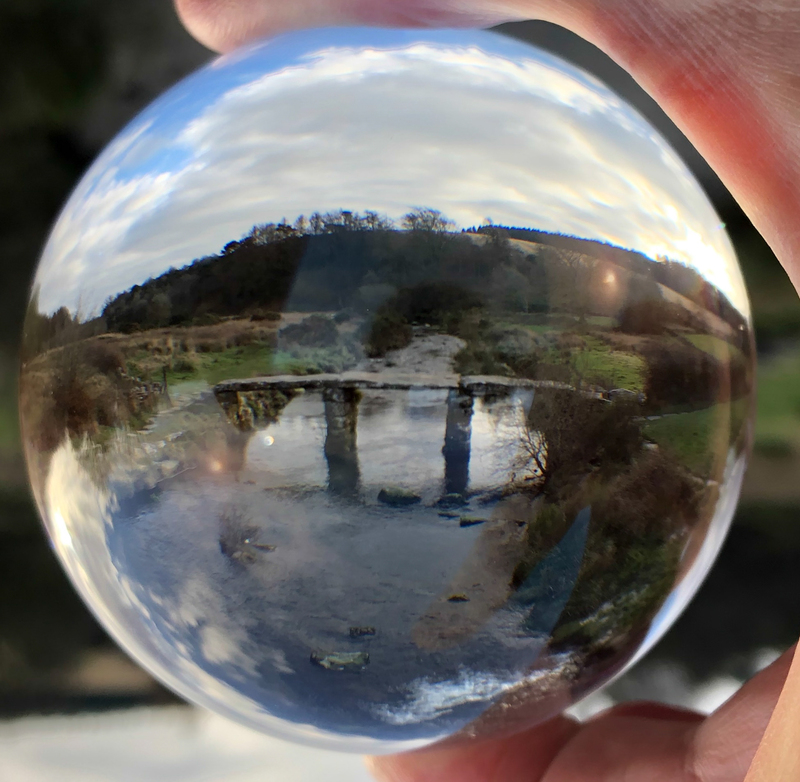 I used this photo in my blog yesterday – I’ve had a play in Photoshop and I quite like this version too. 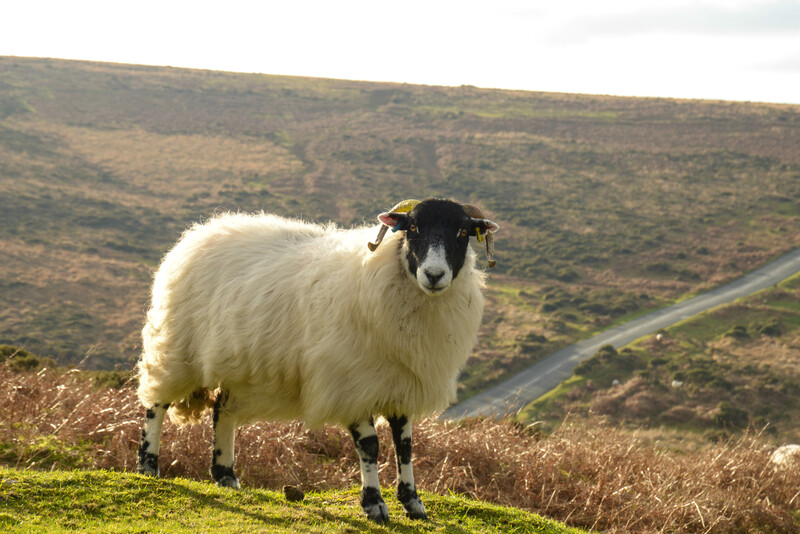 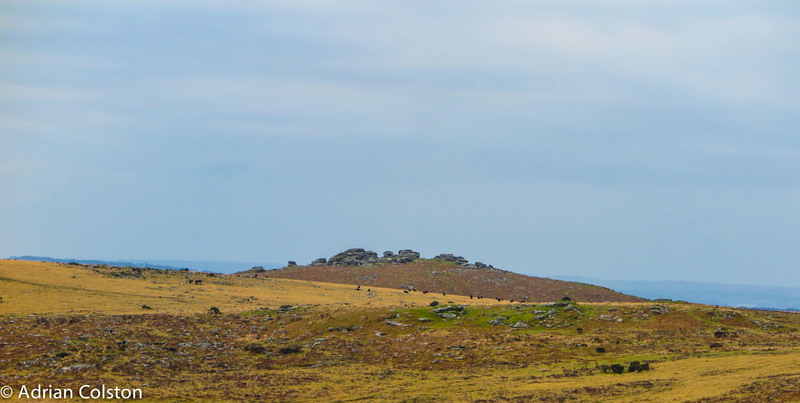 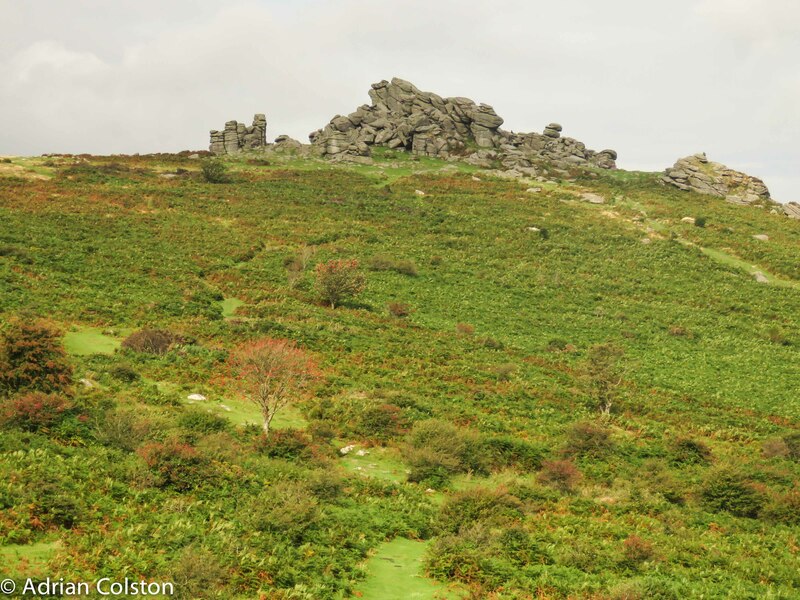 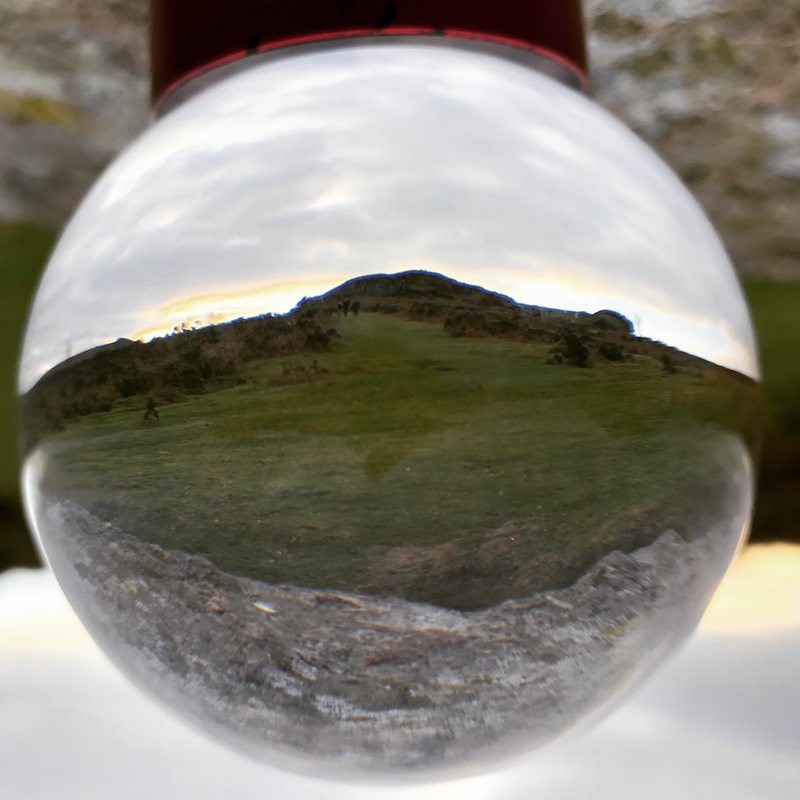 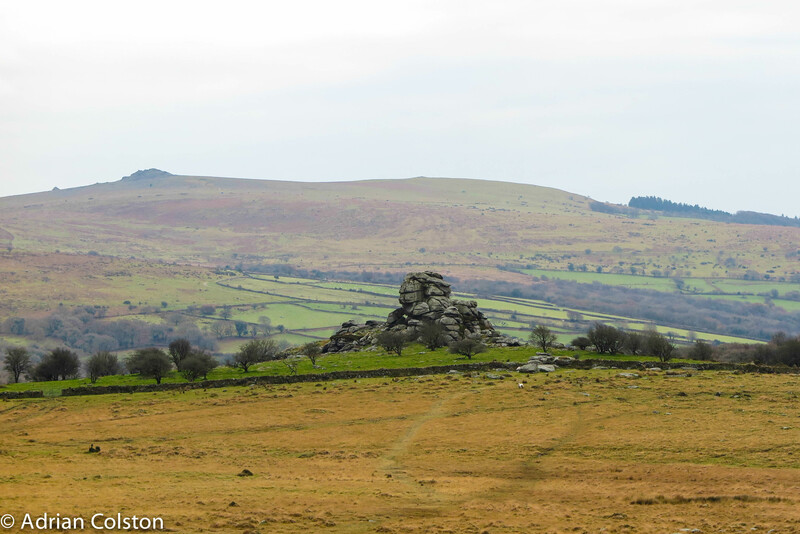 Looking down from the car park is Vixen Tor – one of the very few on Dartmoor you can’t visit. 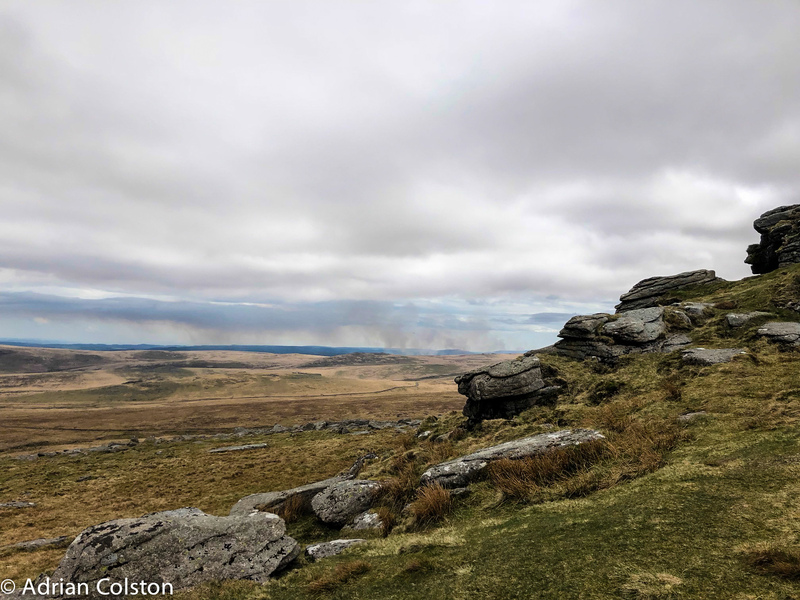 The path up to Great Mis Tor with Little Mis Tor on the left – it was might cold in the wind when we weren’t walking and even then it wasn’t great ! 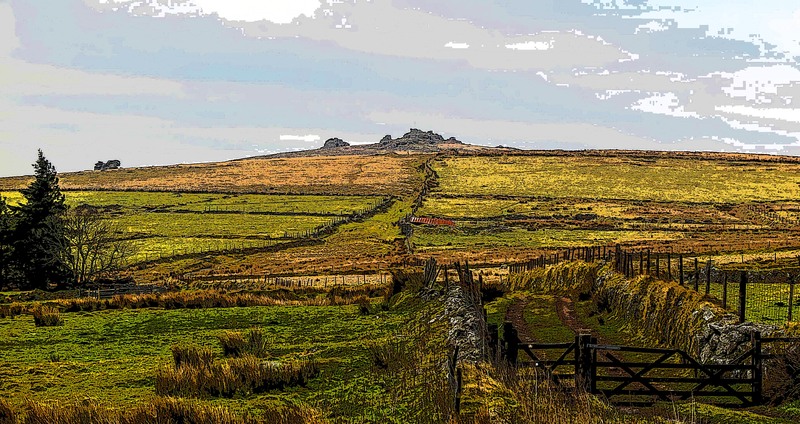 The newtakes with the moor beyond.